Love witchcraft and wizardry? This Harry Potter palette is for you | SHEmazing! Harry Potter lovers have been teased and tormented by the revelation of a Harry Potter palette by Storybook Cosmetics. The brand that brought us Game of Thrones makeup and Beauty and the Beast makeup brushes has been working on the Wizardry and Witchcraft palette for months, and it's finally almost ready for release. The gorgeous, rich shades were finalised a few weeks back, but the spell book packaging needed to be perfected. The creators have done an amazing job, and the book palette wouldn't look out of place in Hermione's hands at the Hogwarts library. The shades themselves are divine, from taupes and neutrals to deep emerald and navy. 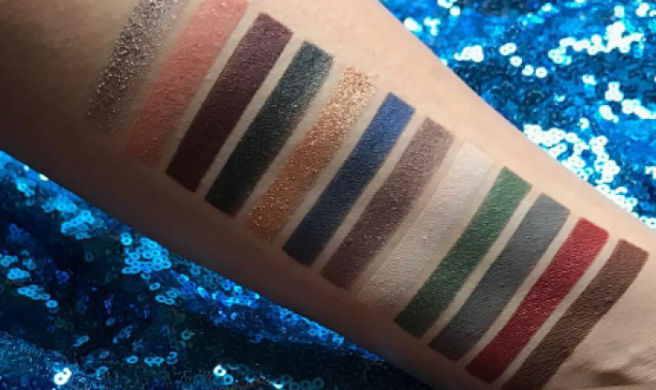 The new eye shadows sit alongside wand themed makeup brushes and quill eyeliner on Storybook Cosmetics' website, so getting a magical makeup look is literally a click away. The palette will be released in the next few days, so keep your eyes on the prize because this one is sure to fly off the (Hogwarts) shelves.